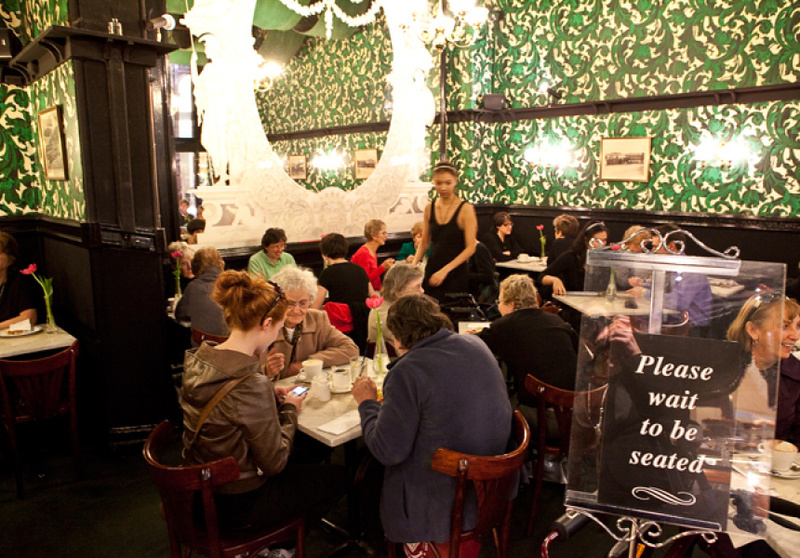 The old-world charm of the Hopetoun Tea Rooms is the key to this veritable old dame of the Melbourne tea scene. 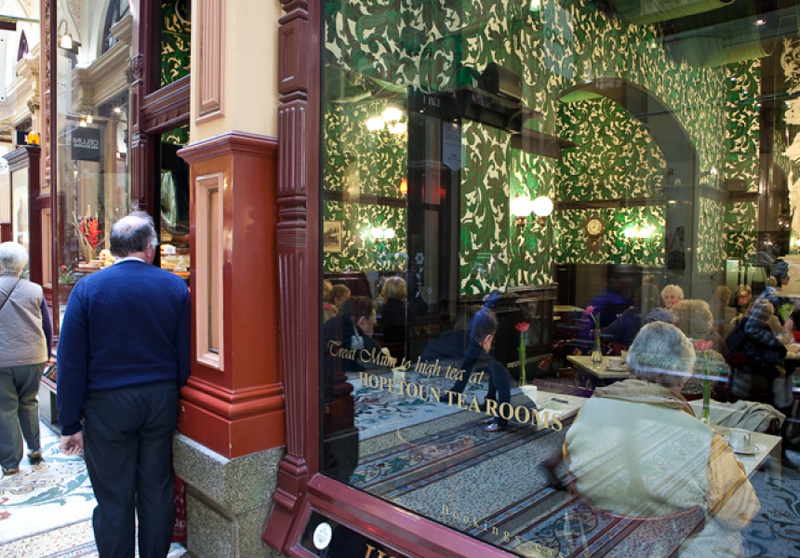 Purchased in 1891 for a mere 18 pounds, the Hopetoun Tea Rooms have been nestled comfortably within the Block Arcade for over a century. It is easily spotted by the gaggle of food lovers gazing wistfully at its bugling, window display of cakes, tarts and muffin assortments proudly presented on silver trays. Once inside, the striking Victorian wallpaper creates a quiet and subdued atmosphere. The rooms are without much pomp but very tastefully decorated. Gone are the days of the purple-rinsed ladies with their tea trolleys, but service remains friendly and efficient. As befitting such a place, the tea menu is extensive with a variety of traditional English teas, herbal infusions and some newer blends with more exotic flavours and scents. The Tea Rooms offers morning tea, a full lunch and afternoon menu all with an English focus. Think cucumber sandwiches, light soups and many other sandwich and salad options. 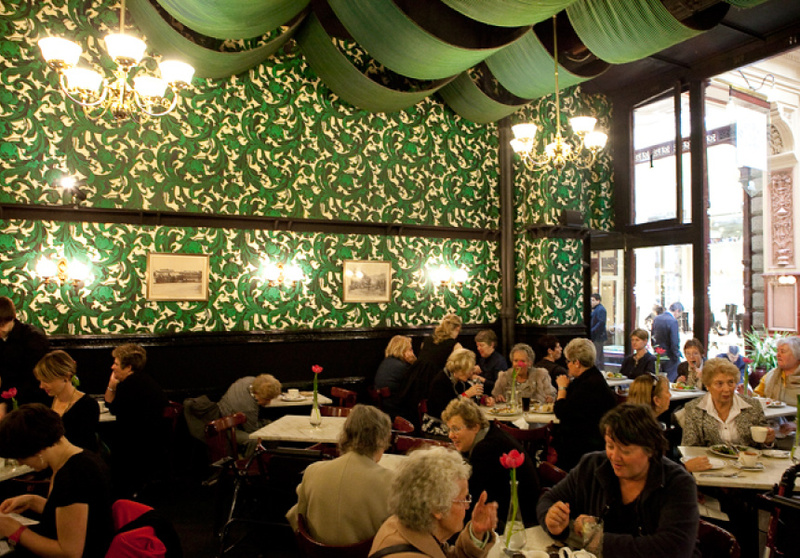 Arrive early for lunch as this institution of tea-drinkers fills fast and the owners ensure that the Rooms are never overcrowded. Many of the teas are available to buy in old-world tins allowing you to recreate the moment at home.